We have met to find out more about each other, to talk about your project, to discover your dreams, your individual needs and preferences and what are you looking to achieve. 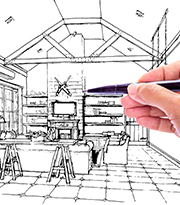 This is all about bringing your project to life by drawing plans and sketches. The choices and alternatives are endless. Design schemes, illustrations and samples will show you how furniture, fitting and finishes, can all come together beautifully. From Milan, Paris, London, and anywhere else in the world, we only source the best quality and most beautiful design products, for your unique tailored home.. 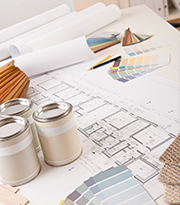 The package of detailed working drawings, from which the building process can begin. 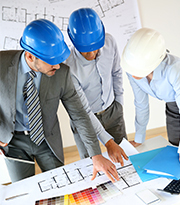 This is where we execute the process by placing orders, supervise, and liaise with structural engineers, planning, building control and architects.